A private luxury marina proposed for development at Clipper Cove on Treasure Island will damage wildlife habitat and harm public access to one of San Francisco Bay’s most protected sailing areas, Baykeeper recently told the San Francisco Board of Supervisors. Baykeeper is advocating against the marina development, which would be open only to large 40 to 80 foot yachts. The marina would occupy 32% of the cove, which is a small inlet of the Bay between Treasure Island and Yerba Buena Island. 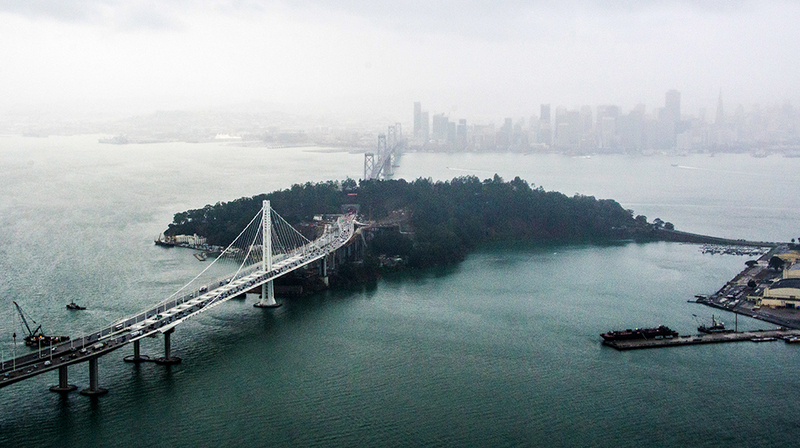 To oppose the marina development, Baykeeper advocated in favor of a resolution introduced by Supervisor Jane Kim that affirms the San Francisco Board of Supervisors’ support for Clipper Cove being preserved as a public recreational and educational space. The resolution was approved by the board’s Land Use Committee and is now being considered by the full board, which has to sign off on any Clipper Cove development. Currently, Clipper Cove houses San Francisco’s only community sailing center, the Treasure Island Sailing Center. This program provides access for thousands of youth to sailing opportunities, including a sailing program that serves over 1,500 San Francisco elementary schoolers each year. For most of these students, the program is their first time on the Bay; for many, it is their first time on a boat. The large marina would rob the educational sailing program of access to protected and calm water for beginning sailors. Baykeeper is also concerned that the marina development could disrupt eelgrass beds underwater in the southern portion of Clipper Cove. Native eelgrass provides shelter for young fish and shellfish, food for migratory birds, and a buffer that helps prevent coastal erosion. Eelgrass is one of the rarest habitats in California. Placing docks, other marina infrastructure, and large boats in Clipper Cove could adversely affect existing eelgrass beds. To oppose the development of a luxury marina in Clipper Cove, Baykeeper is partnering with Save Clipper Cove and other concerned organizations. We will continue to advocate to ensure that the important public access and environmental resources at Clipper Cove are preserved.